The Wahl Pro Clip is perfect as an entry level clipper or for those on a tighter budget. Not quite as powerful as the rest of the range, it still features a durable professional motor and is perfect for students and home use. As a clipper, the Pro Clip from Wahl is still a class above many expensive retail clippers, and features a convenient thumb lever to adjust the taper and texture without changing the blades. The colourful yellow lid adds a mark of individuality to this superb product, with the blades being made from the usual high precision steel. 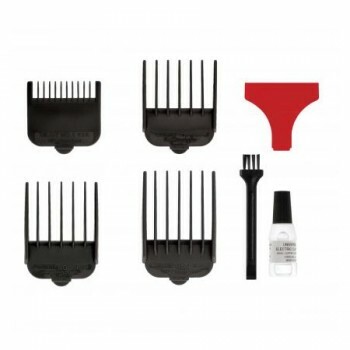 Every Wahl Pro Clip is supplied with four attachment combs (Grades 1 - 4), clipper oil and a cleaning brush. - Professional mains clippers, ideal for beginners and home use. - Eye catching and iconic yellow lid. - High quality blades precision ground to stay sharp longer.